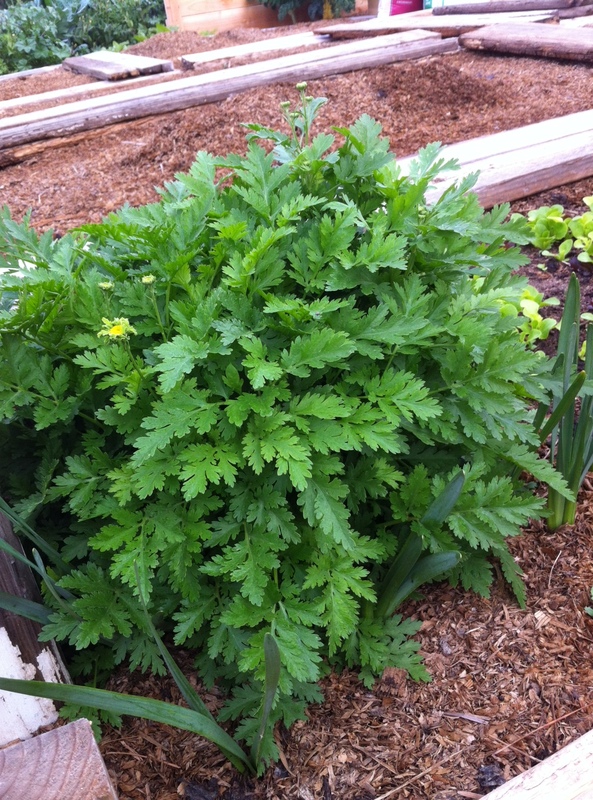 An update of whats going on in the garden to mark the beginning of spring. 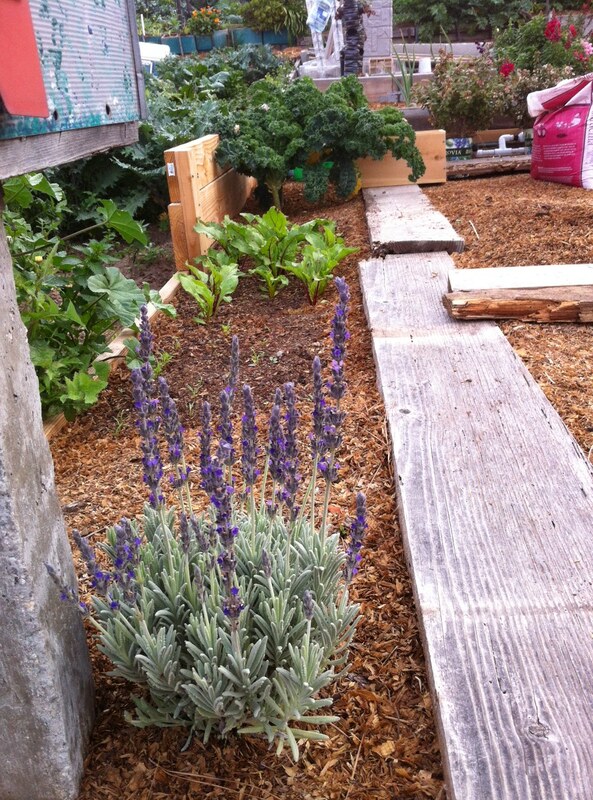 We planted some flowers around the garden to help attract bees and other beneficial insects. They also add color and pleasant scents to the garden. The lavender is currently blooming while the feverfew and daffodils haven’t bloomed yet. We had a bunch of extra lettuce seeds, so we decided to try growing baby greens. 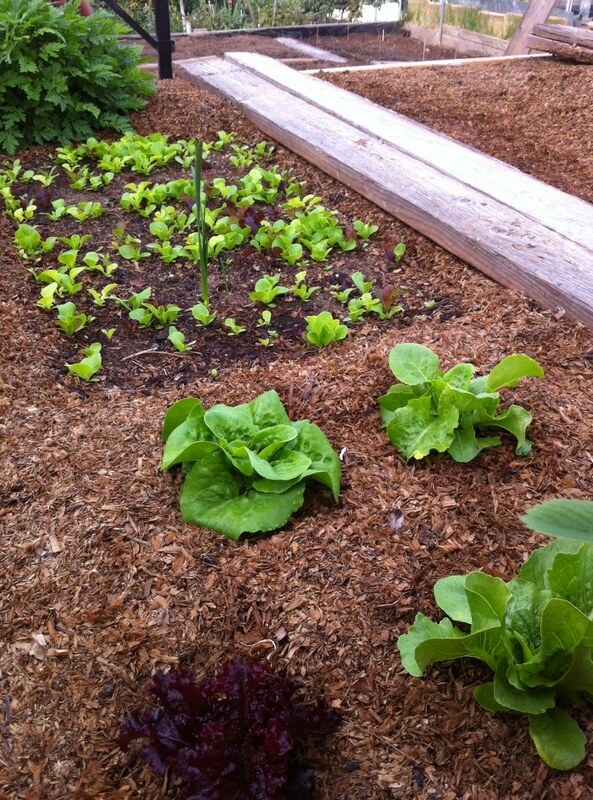 We randomly scattered a variety of lettuce seeds and are planning to pick most of them when they are still young. 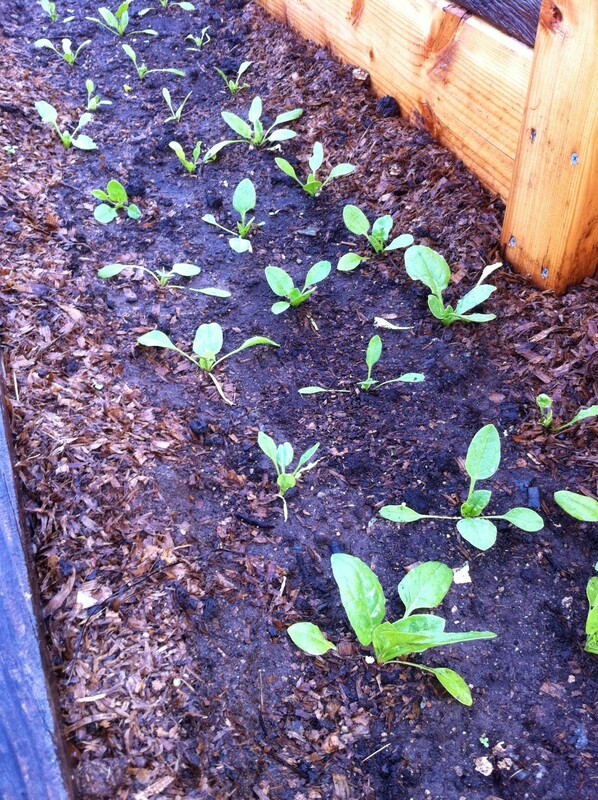 We will probably leave a few to grow in to full-size lettuce plants for later. 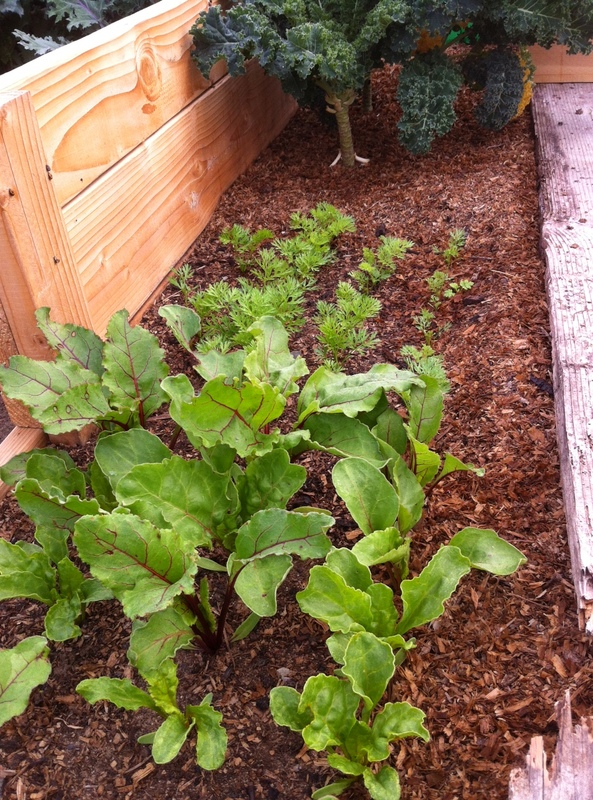 We also have some larger lettuce that we started on the balcony and transplanted in to the garden. One of our garden friends also gave us some spinach seedlings. I’ve always thought that spinach didn’t transplant well because of the long tap root, but the spinach seedlings are doing great. 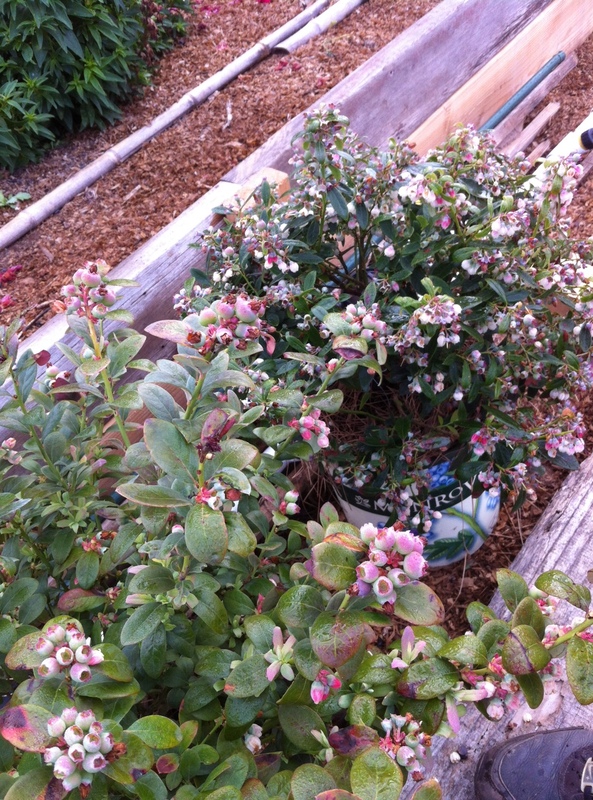 Our blueberry bushes are growing well with lots of berries. We haven’t planted them in their more permanent planters yet (still under construction) but they seem to be doing great. The blueberries are slowly ripening so we plan to cover them with bird netting soon to keep the birds for eating all of the fruit. We have two varieties of blueberries, Sunshine Blue and Bountiful Blue, both of which have low-chill requirements since it doesn’t get that cold at the garden. 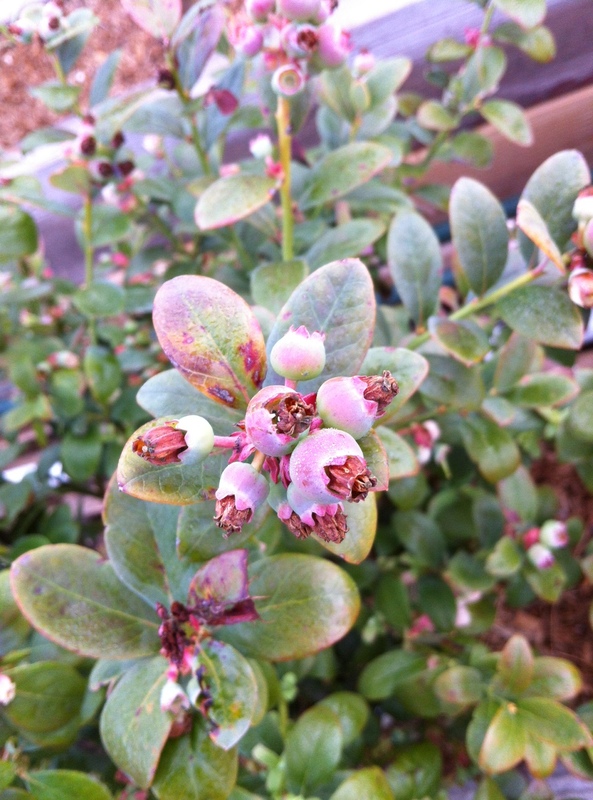 Blueberries also produce more fruit when two different varieties can cross-pollinate. 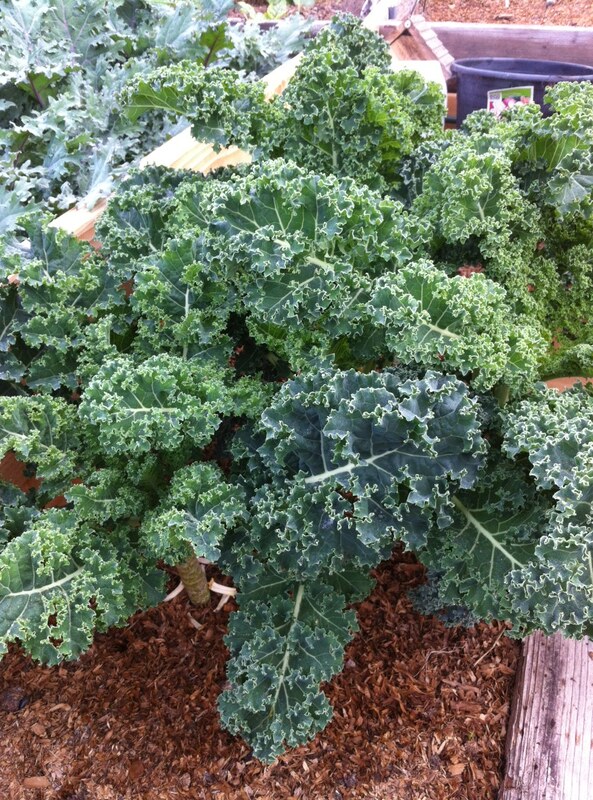 The kale plants are ready for another harvest and the beets and carrots are growing nicely. Remember to keep the carrots and beets evenly watered to produce the best roots. 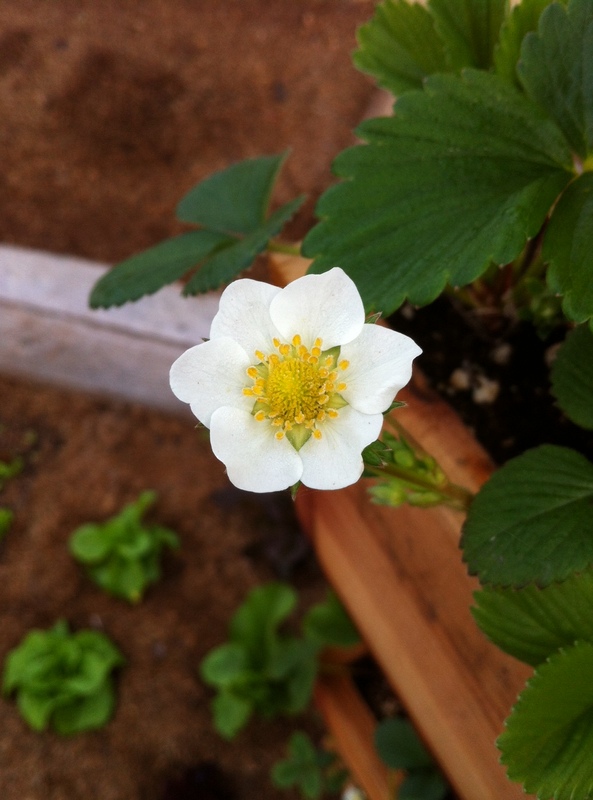 Strawberry Tower, Strawberry Flower and Baby Strawberry. The strawberry plants are doing great in the strawberry tower. 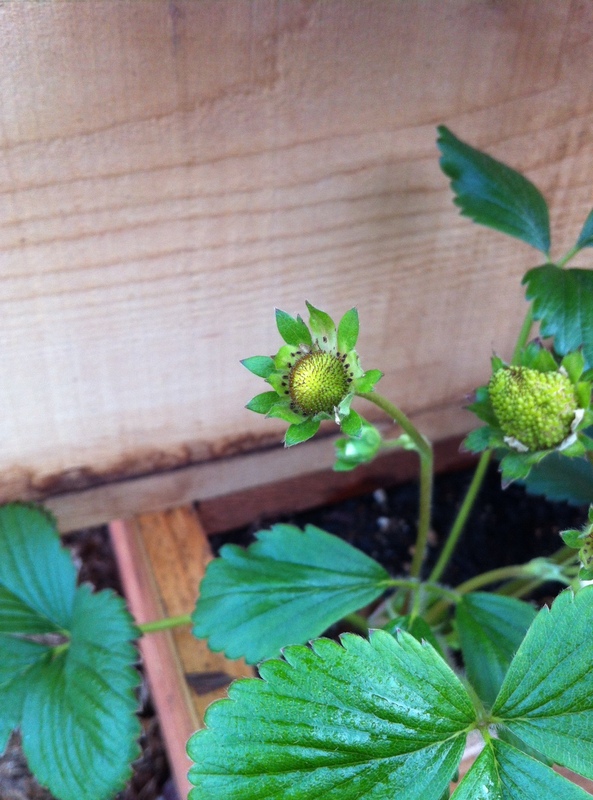 There are lots of strawberry flowers and baby strawberries growing so we are eagerly awaiting our first strawberry harvest! There are still a few garden tasks that need to be completed before we are ready for summer vegetable planting. We need to finish construction of the redwood blueberry planters (details coming soon!) as well as construction of the tomato and cucumber trellises. We also need to finalize our garden plan for the summer and figure out what sorts of vegetables we are going to be growing. Love your garden! Great pictures too! Great photos! 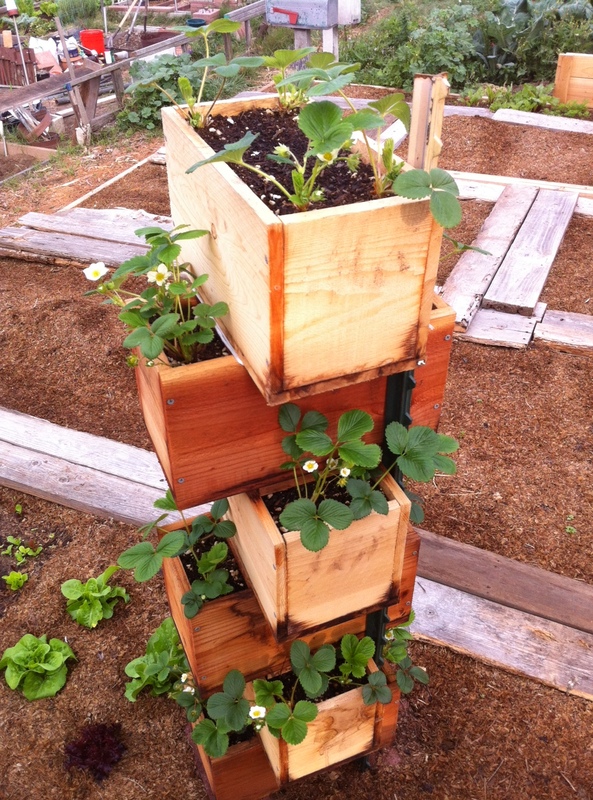 Like the strawberry planters! How lovely – are you going to use the lavender for food as well or is it purely for insects? Lavender lemonade would be amazing!